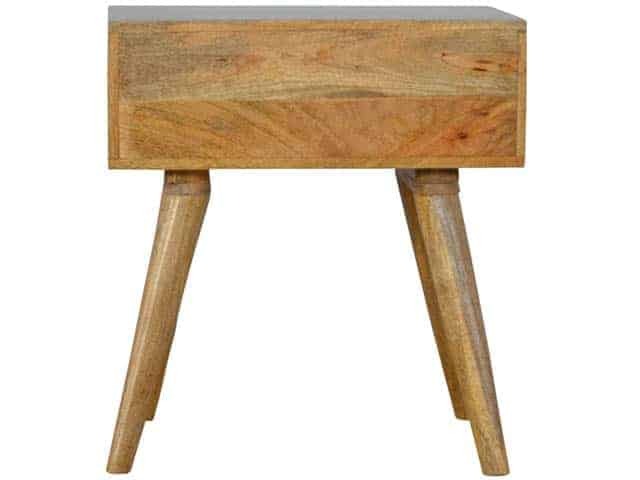 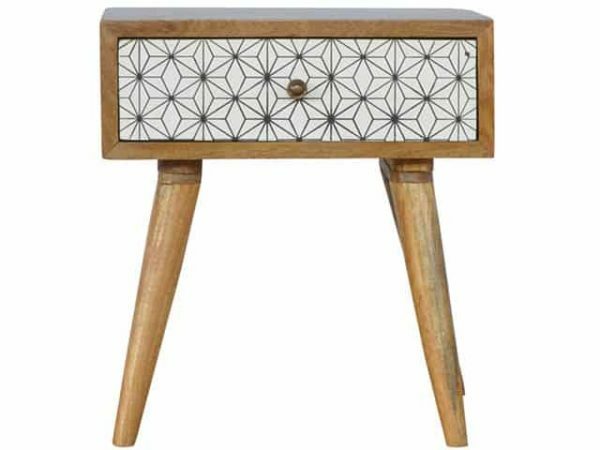 This bedside table is the perfect addition to add to any bedroom. 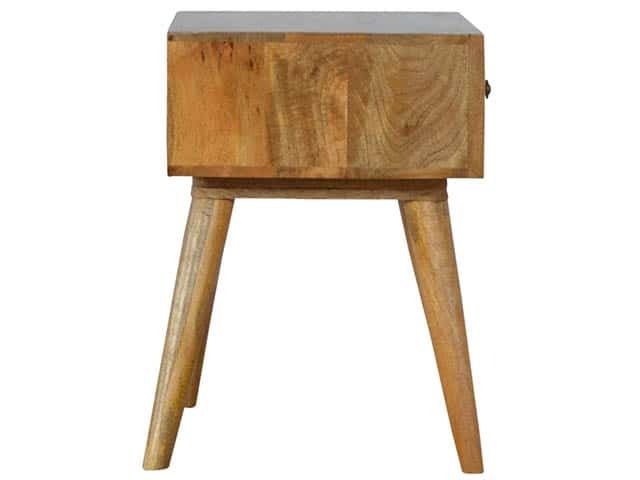 It will prove handy all over your home and is made from 100% solid mango wood with a fine oak-like finish. 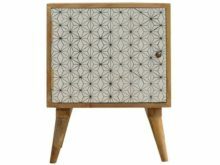 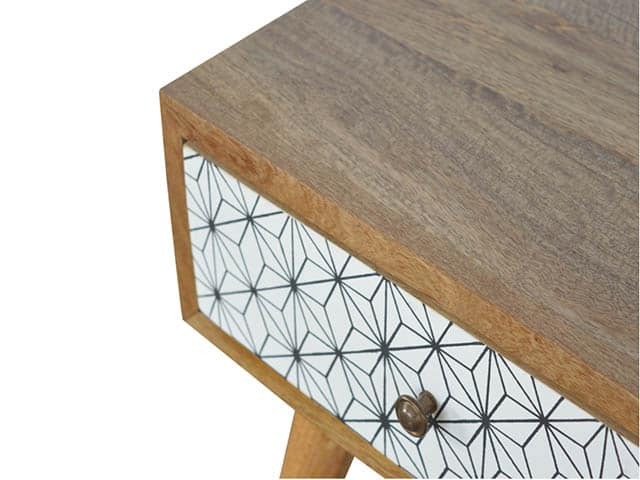 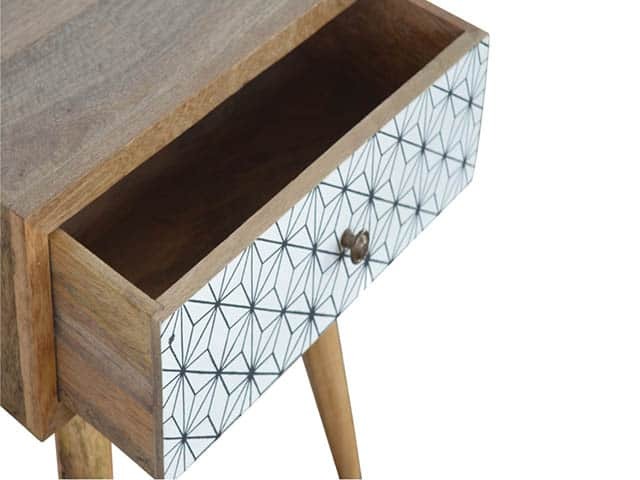 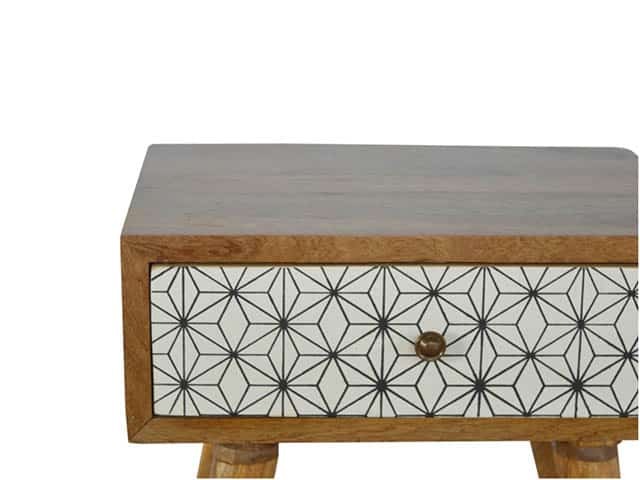 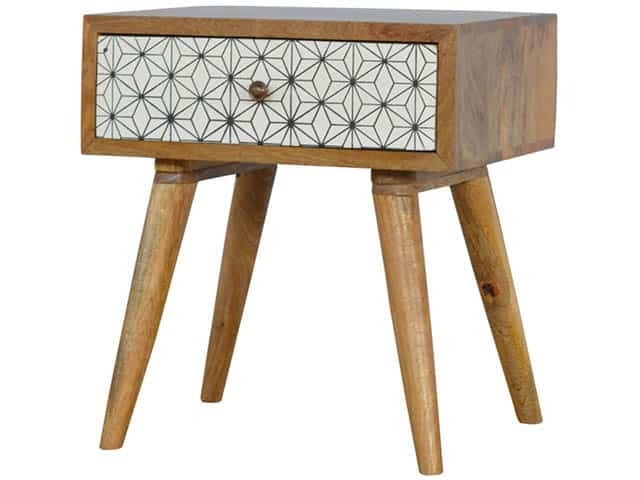 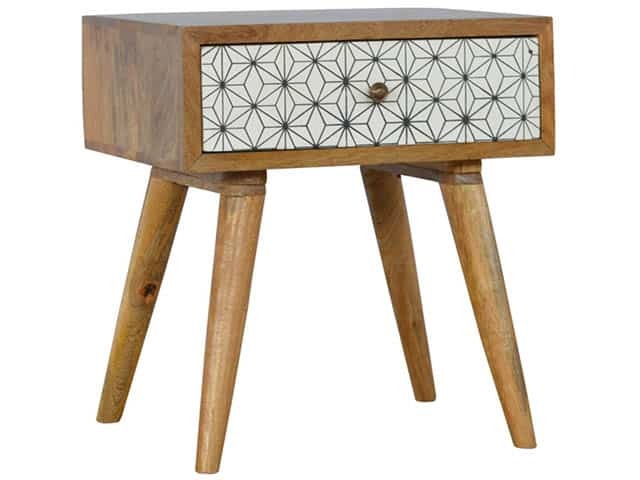 It also comes with a geometric design screen printed drawer that has a shiny brass knob and has 4 Scandinavian styled legs.